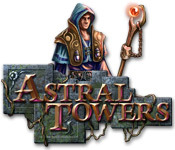 Astral Towers is rated 3.6 out of 5 by 20. Rated 5 out of 5 by vindeloklne from Hands down my favorite game! 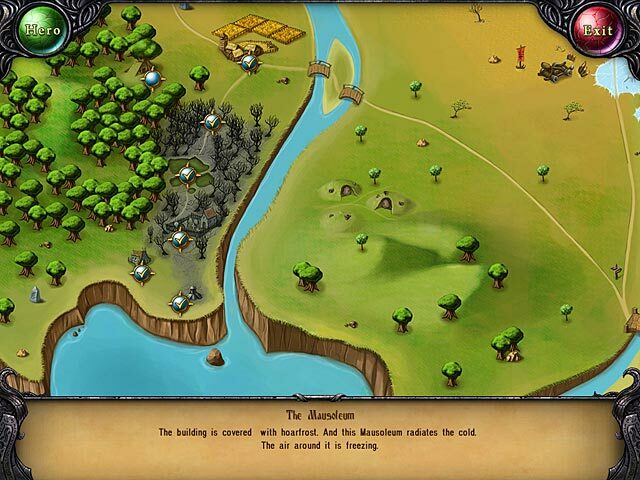 Let's you adjust your level of challenge, great graphics, makes you think, you can learn as you go, you can play a campaign or play against a computer opponent, a magical atmosphere is created by the grapics, it's turn based and waits for your move without a time limit-you can multi-task and come back to the game. PLEASE MAKE MORE LIKE THIS OR CREATE EXPANSIONS.-it would be heavenly!!! 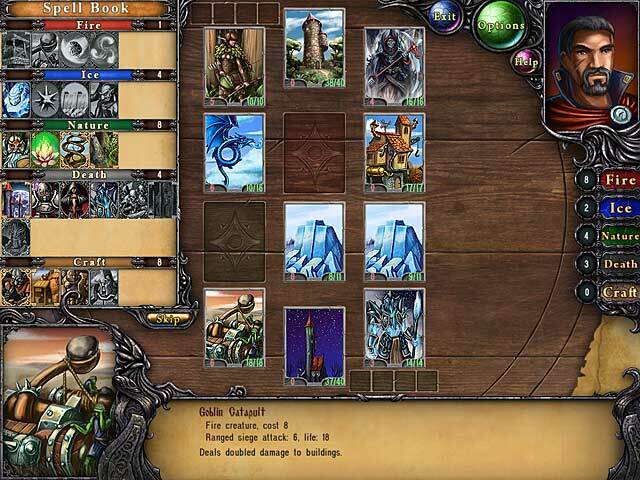 Rated 5 out of 5 by varga304 from Very good game This game is extremely interesting, a card game like some on FB. Addicting. Rated 5 out of 5 by Lyndy20 from Something different Astral Towers is certainly interesting. Now, is it a card game that contains the most important (in my opinion) elements of a turn-based strategy game? Or is it a turn-based strategy game, streamlined into a single playing area where all your fighters, defences, spells and battle information are neatly displayed on cards? Either way, your brain is engaged from the beginning - straight into battle strategy. There is a small tutorial, but you won't need more than that - just study the enemy and decide what cards to use. So far, at least during the demo, you can only select one card per turn. There are limited cards to play with at first, but these build up as you win battles. It's not like the standard type of strategy game where you can nip off to the shop to buy, sell, upgrade, etc. No. You just have to win battles. Rated 5 out of 5 by sheilamilo from This is a lot of fun! I haven't really played these kinds of card games before, so this is a great intro! You can play each level as many times as needed (and can go to other levels to gain powers, then come back). I like to win, and this allows me to be victorious! Rated 5 out of 5 by nancyt2u from New and Different This game makes me think! 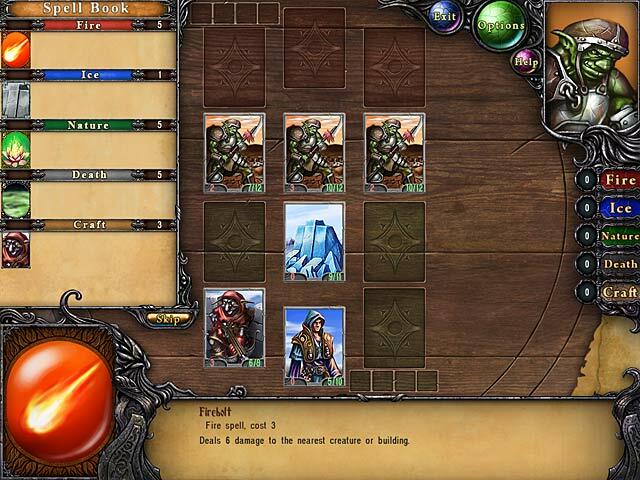 Basically it is a strategy game that does't have moving characters. One moves from site to site and must fight battles with the "cards" you have. You start out with some easy cards and earn more as you advance through the levels. Each card has some powers assigned to it and if you put up the proper combinations you can defeat your enemy and move on to the next site. It is not timed so you can think things through. If you are defeated you just try again, nothing is lost. I don't listen to sound so no comment there. The illustrations are simple. I am still learning the game and how to keep moving through the levels. My guess is you will love it or hate it. For now, I am finding it somewhat addicting. I want to beat the game! Try the hour and you will pick up how to play. There are not any significant directions to it and it probably took me a couple of rounds before I started to understand how it worked. Good luck! Rated 4 out of 5 by Gnawtooth from A Fun, Unique Little Game This game was a joy to play. With the unique battle system and ever-changing enemies, the game remains fresh until the end. The spelling and punctuation was off by an annoying amount, but once you get past this flaw the game is very fun. I highly recommend giving this game a try. Rated 4 out of 5 by LuvBFG56 from Not my Genre....but cool game! Unfortunately this is a no buy for me....I just don't get anything out of having a battle, rather have a romance! But, I felt compelled to write a review to encourage anyone who like this type of game with competition battling to be sure and try it out. The graphic, music, set-up of game play, etc....were all great! I played most of the demo and did enjoy it and who knows, maybe on down the road when I've worn out another 100 games or so....I come back to get this one! DEFINITELY RECOMMEND IT, especially to the guys out there!